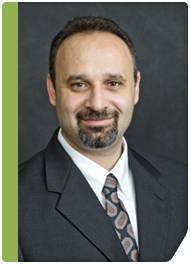 Poplar Healthcare » Fadi Ibrahim, M.D. Dr. Ibrahim received his medical degree from the University of Aleppo, Syria. He spent time as a research volunteer at the University of Pittsburgh and then completed a five-year residency training program in Anatomic and Clinical Pathology at the University of Tennessee, Memphis. Upon completion of residency, Dr. Ibrahim completed a one-year fellowship in gastrointestinal pathology with GI Pathology, Memphis, Tennessee. Following a brief stint on the faculty of the Department of Pathology at Ohio Valley Medical Center, West Virginia, Dr. Ibrahim returned to join GI Pathology as a staff pathologist. Dr. Ibrahim holds membership in several professional organizations including the American Medical Association, the College of American Pathologists and the American Society for Clinical Pathology.